Think you might be experiencing hearing loss? Take this easy quiz to decide if you should see a hearing care professional for possible solutions. Hearing loss can come on so gradually, you may not even realize it’s happening. This online quiz can help you decide if you may in fact be hearing less than you should. Should you get an examination? Take this quiz to help you decide. Do people seem to mumble or speak in a softer voice than they use to? Do you have difficulty following conversation in noisy surroundings like in a restaurant or at a party? Do you find yourself asking people to repeat what they say? Do you find you need to turn up the volume on your TV so that others comment on its loudness? Do you sometimes avoid taking calls on the telephone because it is difficult to hear what people are asking? Do you have difficulty pinpointing the direction of where a sound is coming from? Has someone close to you mentioned that you may have an issue with your hearing? Do you feel you use a lot of effort just to follow everyday conversations? Do you feel you have to strain to hear everything that is said in a meeting? Do you feel that you are missing out on activities/events you used to enjoy due to problems with your hearing? Do you sometimes answer a question and realize afterwards that you did not understand the question correct? Do you feel you must really concentrate to hear someone talk or whisper? If your answers are yes, you may indeed be experiencing some hearing loss. It’s important to remember this quiz doesn’t take the place of a hearing examination; schedule an appointment with a hearing care professional for an accurate assessment. 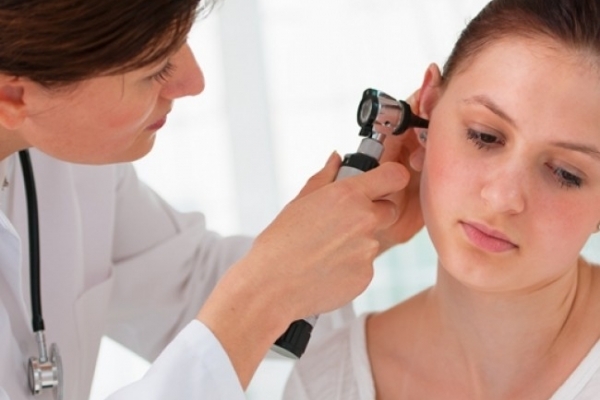 If that test does confirm some hearing loss, you can discuss the options for your situation. Identifying and treating hearing loss now can immediately improve your lifestyle—and prevent further issues down the road. How Noise Affects Hearing ?